Have you ever looked for a new salon or stylist and just got overwhelmed with the same empty promises, jargon and fake enthusiasm everywhere you went? The likely problem was you just didn't know what to expect when going to a new salon. This is typical. And, if being left in the dark leaves you nervous hoping your hair won't get destroyed, then at Bella Hair Designs you will be illuminated with the straightforward truth. All first time guests know what to expect because we tell you upfront. Therefore, you will feel secure knowing that you will get exactly what you are looking for on your first appointment. Instead of just seeking a haircut or trim, all first time guests are strongly encouraged to participate in our "New Guest Experience." A proper consultation is an integral part of getting to know you, your wants, your needs and more importantly, your expectations. Unlike your previous experiences at some salons, you will find that we will take our time during the consultation because it is so important to understand you as an individual, so please don't be shy. The consultation also allows us to demonstrate the difference in our advanced skills versus what you have experienced with other stylists. 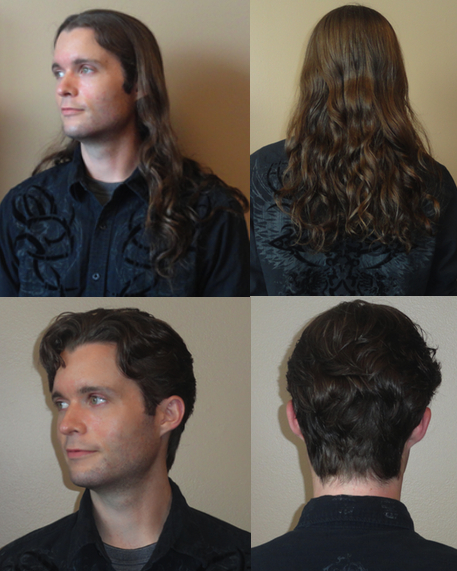 This is a great time to start getting comfortable with your stylist by asking questions prior to the actual haircut. Also, if you simply wish to have a consultation, you are more than welcome to call and schedule one right away. Your first haircut is also an extension of your consultation because we will show you step-by-step how we are applying our advanced cutting skills to your hair. We are so confident in our skills that we will put a mirror into your hand so you can see everything we are doing. You will even see an immediate difference in the movement and texture of your hair simply from a proper cut. We believe that a good style is in a good haircut. ﻿We will point out how and why your "do" falls into balance regardless of the style you choose. Your reconstructive treatment will take 20-30 minutes depending on the health (or lack thereof) of your hair. A combination of products is used (the amounts of each depend on your individual needs) to include proteins, essential oils, and amino acids. Once the Master Artisan determines the status and background of the your hair during the consultation, she will then combine the needed ingredients into a custom formulation unique to you. The ingredients are all natural, non-animal tested, and vegan. These natural products contain strong antioxidants and are negatively charged. This negative charge is important because, combined with the right heat temperatures, it opens the cuticle of the hair allowing the nutrients to be deposited directly into the hair, follicle and scalp. ﻿If you do not wish to have a reconstructive treatment, you may elect instead to have a color consultation as part of the package. The color consultation is a lead in for our Master Artisan to determine the right color to match your needs, taking into consideration your hair's health, previous color treatments, and more. The consultation is important for several reasons. ﻿One of the most important reasons is the patch test. This test makes sure that you do not have any allergic reaction to the color. Your health and safety is important to us, and if you never have had a patch test, then it may be possible that your previous stylist either didn't have the education, knowledge or foresight to prepare one for you. If you want color that is "outside of the box thinking" such as a fabulous multi-dimentional look﻿, then you have finally found someone who can do it! But you must be mentally prepared for instant celebrity status because you will turn heads, receive compliments from strangers, and be asked where you got your hair done. Are you ready for the attention? Statements like, "You look amazing," "I just love your hair," and "stunning" will be common place. (Instant celebrity status may vary from person to person and can be influenced with laughter, a wonderful attitude, a huge smile, and a magnetic personality). Want color on your first appointment? Book online NOW and receive Special Pricing for "The New Guest Cut and Color Package"﻿ starting at $127. Note: We also carry ammonia free color. Looking for a First Time Guest Highlights Special? Click here. In the end, we may give you different options on how you can style your hair for a fresh and fabulous look, every time. More importantly, we will teach you HOW to style your new hairdo so not only will you look fabulous at the time of your appointment, but you will look fabulous everyday thereafter. Be prepared for a transformation! Yes, we do men's hair! If you would like to make an appointment for a men's haircut, there are a few things that you can expect when you come in. First, we do not use clippers. A Master stylist being asked to use clippers would be like forcing a Jedi to give up his light-saber for an uncivilized blaster. In turn, we use a technique called "scissors over comb" especially when a precise, close-cropped hair cut is requested. When someone uses clippers with a hair guard, lines of demarcation are harder to avoid. In addition, since no true measuring points are used, clippers have a tendency to give round haircuts giving a more feminine style to the hair, which brings us to our second point. Second, we will use your bones as a reference point for all parts of your cut. This is even more critical on men's hair than women's because of the uneven muscles of the head and face. Have you noticed that your eyes and ears are not exactly even? That is why professional portrait studio photographers have you tilt your head to give the impression of a balanced facial frame. At Bella Hair Designs, we will give you a precise and accurate haircut with well blended hair and masculine square lines rather than the feminine rounded ones (unless that is what you are looking for of course). Finally, and one of the most important parts about this experience, is we will explain in detail what, why and how we are cutting your hair the way we do during your consultation. So whether you want a fade, mohawk, fauxhawk, high and tight, or the fabio look, come see what we can do for you. Note: We do not cut kids hair because the Japenese hand-crafted shears we use are razor sharp requiring a steady head. Book Online and Get Special Pricing for "The New Guest Experience Package"
"Isabel is great. She has been cutting my hair for about ten years now. I will never go to anyone else and neither should you... She is a master stylist and takes her time to really build a relationship with everyone in her chair. The lost art of customer service in America has not been lost here. She truly cares. Thanks Isabel for being the best!﻿"
"This is the best experience of my life in a hair place." 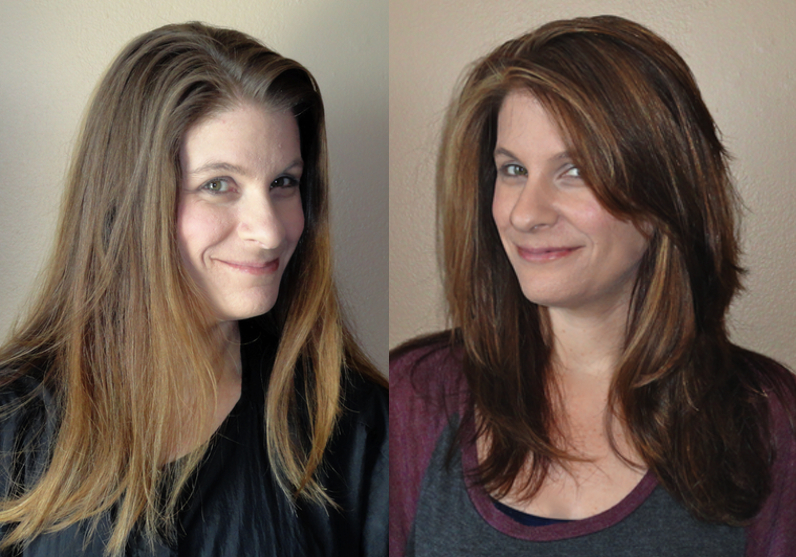 "I live 30 miles from Bella Hair Designs, but the drive is worth it every time! Isabel is very talented and a wonderful stylist. She should be working in New York or Los Angeles, we are so lucky to have her here in San Antonio.﻿"